Biafra, officially the Republic of Biafra, was a secessionist state in eastern Nigeria that existed from 30 May 1967 to January 1970. It took its name from the Bight of Biafra, the Atlantic bay to its south. The inhabitants were mostly the Igbo people who led the secession due to economic, ethnic, cultural and religio us tensions among the various peoples of Nigeria. Other ethnic groups that constituted the republic were the Efik, Ibibio, Annang,Ejagham, Eket, Ibeno and the Ijaw among others. 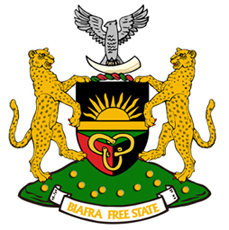 The secession of the Biafran region was the primary cause of the Nigerian Civil War, also known as the Biafran War. The state was formally recognised by Gabon, Haiti, Ivory Coast, Tanzania and Zambia. 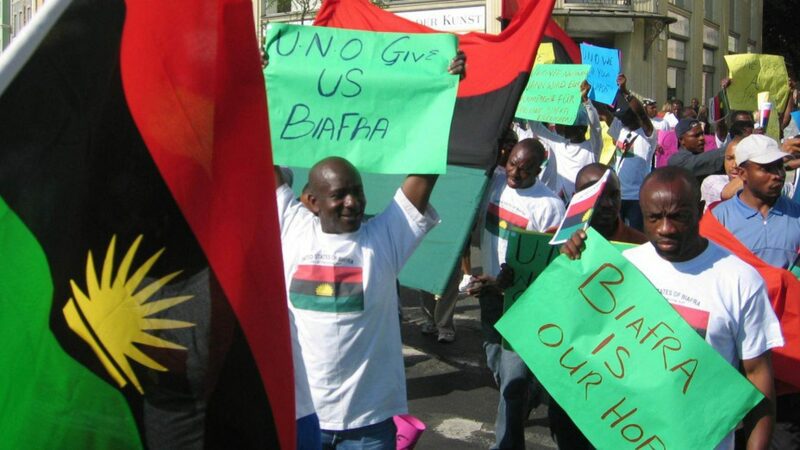 Other nations which did not give official recognition, but provided support and assistance to Biafra included Israel, France, Spain, Portugal, Norway, Rhodesia, South Africa and the Vatican City. 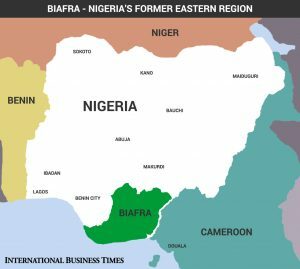 Biafra also received aid from non-state actors, including Joint Church Aid, Holy Ghost Fathers of Ireland, Caritas International, MarkPress and U.S. Catholic Relief Services. After two-and-a-half years of war, during which over three million Biafran civilians died from starvation caused by the total blockade of the region by the Nigerian government, Biafran forces under the motto of "No-victor, No-vanquished" surrendered to the Nigerian Federal Military Government (FMG), and Biafra was reintegrated into Nigeria. Indigenous Poeple of Biafra | : IPOB .